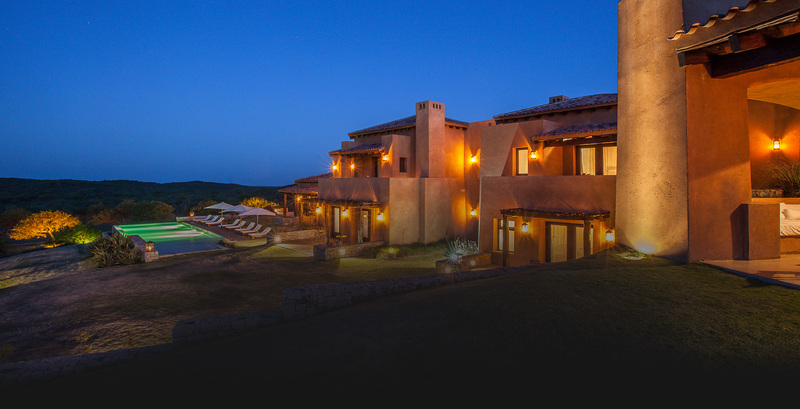 With over two decades of experience in the hunting, fishing and adventure travel business, HookFire's vision is to provide our guests with the ultimate fishing and hunting experience, paired with luxury accommodations, an unmatched culinary experience and refined service. We spend time each year visiting our portfolio of lodges and know the cooks, housekeepers, lodge managers and guides by name. Through countless years of research and travel we are able to share with you the best lodges and staff around the world. Our commitment to excellence has given birth to what we and our loyal clients believe to be the best boutique, outfitting and travel company around. We are dedicated to providing you with thorough information regarding your hunting and fishing destinations, while also providing a seamless travel experience with the help of our hands-on, professional team. 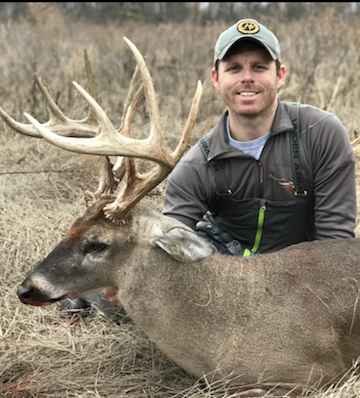 Will Cowan's passion for hunting and fishing started at a very young age as he grew up in Memphis, Tennessee with two younger brothers, a father and grandfather who were all avid outdoorsmen. He started a duck hunting guide service with his cousin and brother when he was a mere sixteen years old that has grown into a much larger and successful operation today. Will graduated from the University of Mississippi in 2005 with a Bachelor's Degree in Hospitality Management and Business. Soon after, he sold all of his belongings and left for South America to pursue his dreams of traveling and the outdoors. After traveling for over a year and visiting many hunting and fishing properties, Will began work with a well-renowned hunting and fishing company, where he learned from some of the most well-trained and experienced pioneers of the hunting and fishing world of South America. In 2009, Will moved back to the United States in order to share with friends, family and others the amazing hunting and fishing that South America has to offer and to pursue his passion for the outdoors through a career in this industry. Will spent 4 years in Dallas, Texas with his wife, Lauren, building relationships with many corporate groups and organizations throughout the DFW metroplex. Will's goal was to provide a more seamless travel experience that offered more of a “one-stop shop” for his clients, where they could have all travel needs met from flights, hotels, tours, dinner reservations, to the hunting and fishing trip itself, and any other special accommodations. Out of this vision HookFire was created. Will and Lauren currently live part of the year in Argentina and come home to visit family, their offices in Alabama and Dallas and to spend time with their clients stateside. While in Argentina they enjoy being able to personally host many groups and also continue to build relationships and find more resources abroad to help better serve their clients. 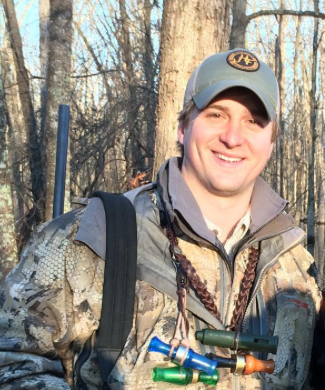 Will is a certified guide and has recently received his Huntsmith Certification in Bird Dog Training from Ronnie Smith Kennels - the most prestigious apprenticeship program in the country. Will's Current Favorite HookFire Program: Patagonia Mixed Bag Trip - Big Game, Wingshooting & Flyfishing! Born and raised in South Alabama, Lauren grew up hunting and fishing from as early as she can remember with her father and friends. Lauren and Will married in April 2013, and Lauren has been an integral part of the HookFire team since its beginning. Her main focus in the business is our Safari and wellness program and daily business operations. Lauren graduated from Rhodes College with a Bachelor's in Psychology and Spanish, and later pursued her Master's of Education in Human Development Counseling at Vanderbilt University in Nashville, TN. Her passion for people transpires through her ability to personally host clients from all over the world at our lodges. Lauren recently completed her 200-hour Yoga Teacher Training in Bend, Oregon and is now a certified Yoga instructor. She looks forward to being able to incorporate her knowledge & passion of yoga, health and well-being into the business. Lauren's Current Favorite HookFire Program: Couples flyfising & wellness retreat program in Patagonia! 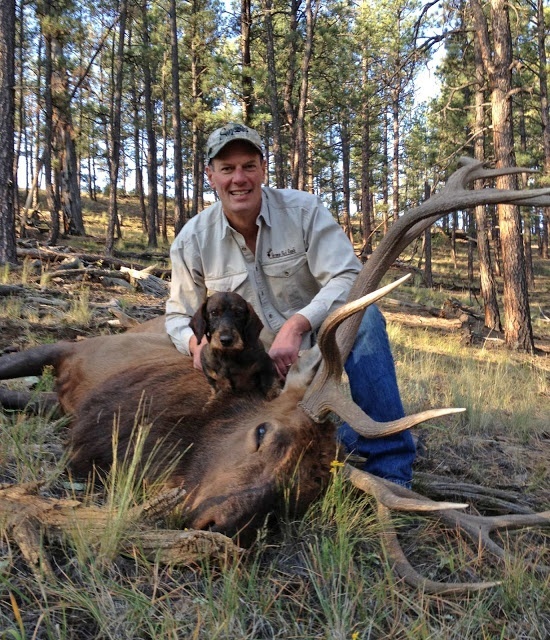 John grew up in El Paso, TX giving him the foundation to be a lifelong outdoorsman. He graduated from Texas Tech University with a degree in Hotel Management, where his career was focused on delivering the "gold standard" in guest services at resorts around the country. For the last 15 years, John was the Program Manager at Vermejo Park Ranch, where he was able to feed his passion for hunting and fishing. The most recent addition to the HookFire team, John brings a wealth of knowledge to our program. John's Current Favorite HookFire Program: Billfishing at Zancudo Lodge in Costa Rica! Raised in the heart of Sportsman's paradise, Southwest Louisiana, Conrad is no stranger to the great outdoors. With over 25 years of experience, Conrad embodies the sportsman's code, which he defines as "Preserving the tradition of hunting & fishing, while respecting God's creation." Conrad received a Bachelor's Degree of Science in Business from Univ. of Louisiana Lafayette. His biggest asset is natural talent in client relationship management. He is committed to making each guest's experience first-class, worry free & as seamless as possible. Conrad's Current Favorite HookFire Program: Dove hunting in Cordoba, Argentina! 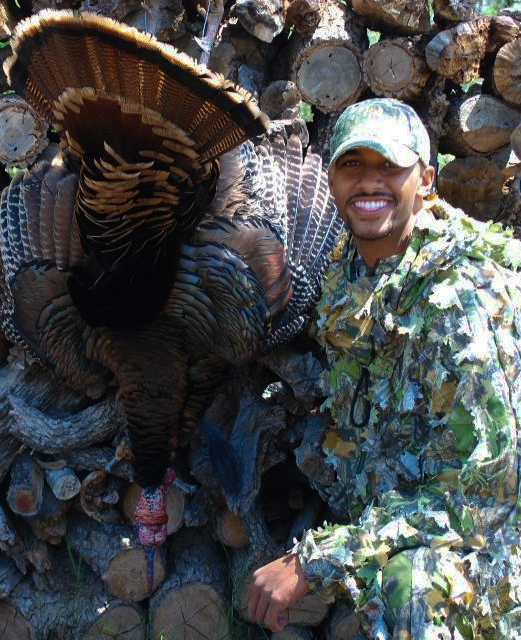 Drew is a native Memphian, born and raised in a family of avid outdoorsman. He has been hunting and fishing for almost 30 years and his true passions are duck, deer and turkey hunting. Drew graduated from Ole Miss with a Bachelor's Degree in Hospitality Management, which makes it no surprise that he has a natural camaraderie and genuine rapport with our clients. He also brings an irreplaceable base of knowledge to the HookFire team and assists with behind the scenes operations and apparel/gear to our outfitting team across the Globe - including Argentina, Africa & Costa Rica. Steven was born in Gulfport, Mississippi. He was raised saltwater fishing in the Northern Gulf and hunting across Mississippi from an early age. While attending college at Ole Miss his passion for hunting waterfowl really took off. After college, he took his first job guiding duck and dove hunts in Argentina. Steven has a strong passion for hunting, fishing, and traveling. This combination has led to chasing everything from blue marlin to waterfowl across North, Central, and South America. Now he is back living in Mississippi, constantly planning hunts around the world. Steven enjoys hosting and guiding HookFire groups in the Winter wingshooting season. Chris Dinwiddie was born and raised in South Louisiana. He relocated in early 2019 to Patagonia, Argentina to spend a lot of the year there, helping the HookFire family. He spends most of his free time with a shotgun, speargun, helm or fishing rod in his hands. He holds a Bachelor's degree in Business Management from the University of Alabama. He has worked and studied in places that allowed him to spend 6 months fly fishing on the South Island of New Zealand, 2 years fishing in Panama, 4 months elk hunting Colorado's western slope, 4 months fishing SE Alaska and 5 years fishing in Southeast Louisiana. 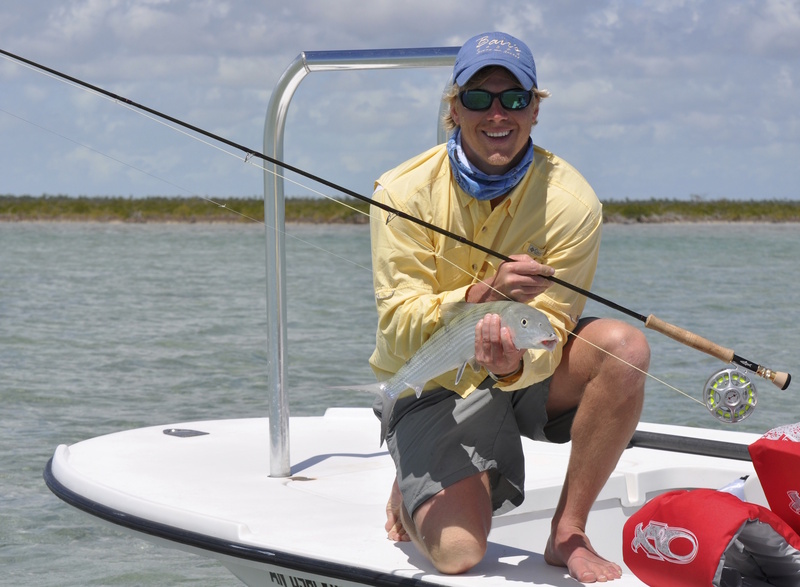 From swordfish to sandhill cranes and everything in between, Chris brings a lot of experience and fun to the team. Like the rest of our team, he is quick to smile and lend a hand wherever he can. When it comes to hunting or fishing, "It's not about the harvest, it's about the beautiful places, the learning curve, and the memorable experiences. I like getting extremely close to wild creatures with high quality people!" Chris plays an avid role in HookFire's sales and marketing team, with a focus on Houston, Louisiana and the heartland as well as the West coast. to host HookFire clients, as he has a natural rapport with people and enjoys getting to know people from all walks of life through the great outdoors. Hunter assists the HookFire team with web development, branding strategy, & development of HookFire apparel and gear.